Verve decodes Payal Khandwala’s latest collection…. tton and silk lent fluidity at times, they were controlled to give structure and androgyny at others. There were quite a few covetable separates that defined her collection and made it extremely wearable for any body type. 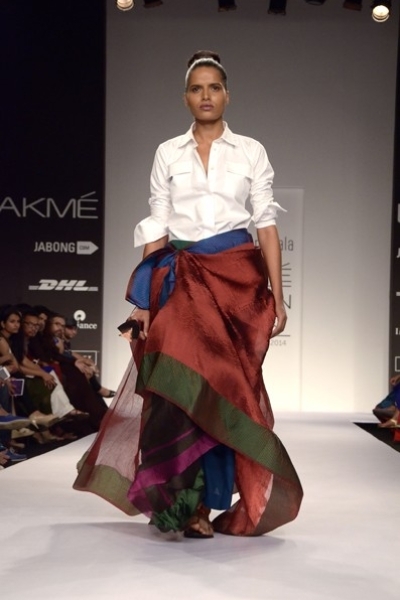 : A multitude of saris draped in many eclectic ways. : A sense of dejavu. Perhaps time for the evolution of a newer form and colour story?